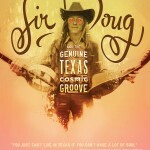 The film Sir Doug & The Genuine Texas Cosmic Groove plays the Rock and Roll Hall of Fame in Cleveland May 17. Doug doesn’t need to get voted in. He’s playing the room. Come join the fun. The director will buy you a beer and a shot. 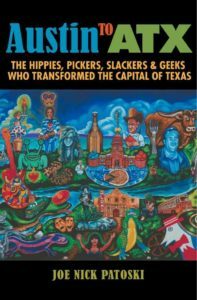 As part of a Cinema Series leading up to CineFestival in February 2017, The Guadalupe Cultural Arts Center and CineFestival present Sir Doug and the Genuine Texas Cosmic Groove, Joe Nick Patoski’s directorial debut documentary on the unsung hero of Texas on Thursday, November 17, 7:30pm at the Guadalupe Teater (1301 Guadalupe Street). 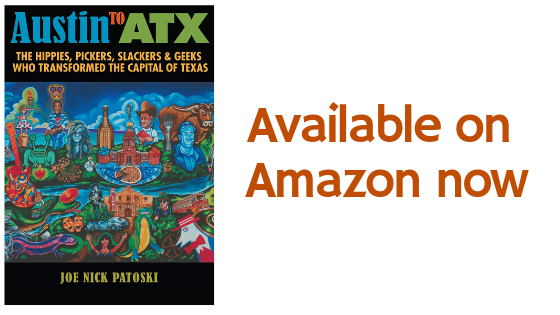 San Antonio native Doug Sahm was known as a child musical prodigy who went on to experiment and combine country music, rock, conjunto and blues to create a truly unique sound. 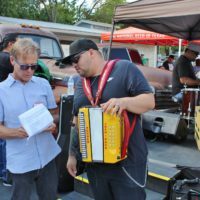 Friend of Jerry Garcia and the Grateful Dead, Dr. John, Fathead Newman, Creedence Clearwater Revival, and several generations of musicians of all stripes, Sahm played a critical role in launching and re-launching the careers of Willie Nelson, Freddy Fender, Flaco Jimenez, Steve Jordan and Roky Erickson. Above all, he was the “Groover’s groover”, a kinetic whirlwind moving at a mile a minute who also happened to be an exceptional musician and a natural bandleader. This documentary reveals his fascinating story.